The fanatical AHS student section, “The Jungle,” is ready to howl during the current basketball season, aiming to surpass the previous years. This year, the Jungle is full of surprises. “We are going to have themed games, new energy, more underclassmen, and new cheers. 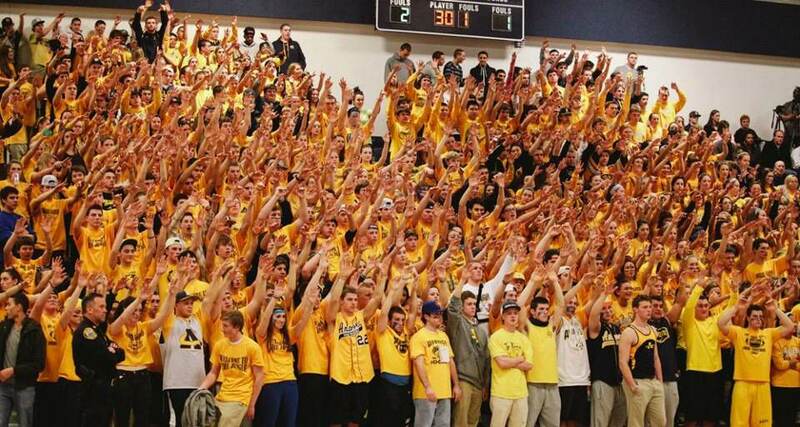 It will be unlike any other fan section you have ever seen before,” said Chris Tully, head student of the Jungle. “We want everyone to be involved this year from the beginning of the season,” says Grace Perigaut, another head student of the Jungle. “For example, we want to try out games at half-time, where people would be able to win prizes.” To get more students interacting while they are at the basketball games, there will be fun contests and challenges. The Jungle increases school spirit during the sports events. It welcomes the freshmen and encourages them to make new friends by coming to a variety of games. “The Jungle triumphantly sold more T-shirts to the freshman and sophomore classes than they did in the previous year,” said Tully. Student sections separate themselves not only by their chants and numbers but by their ability to raise the level of play on the court. This year, the basketball season is going to be a successful one if the team works together. Coach Fazio said, “I 100% love the Jungle. Nothing good is ever accomplished without enthusiasm.” The Jungle helps to build this enthusiasm.